Nothing is off limits. Join me on this incredible journey we call life! Im a Stay at Home Mommy to one Beautiful Daughter. I have an amazing husband and a pretty rocking dog named Moose. I love to cook, bake and read. Sometimes I'm lazy. Sometimes my house is dirty. But most of all, I love my family and I'm a real mom. I'm a big fan of pasta, carbs and Italian food. I also love anything creamy or cheesy, or both! My husband is not. He fought super hard and long to lose about 30 pounds and now sticks to a pretty strict diet. Anything High carb is out of the question. Back from the dead... or something! Hi everyone. Sorry for the VERY long hiatus. Life happened and as we all know, things can get pretty chaotic and inevitably, a lot of things get put on the back burner, like this blog. But I'm back now, with a passion! A passion for cooking, baking and my newest obsession, guns. Before you click the X and close my page, please hear me out. I am not promoting guns and violence by any means. I simply believe in the second amendment and a woman's (and men's) right to bear arms in defense of property, family and self. And the best way to defend yourself, is to know how to operate a weapon. Coconut Oil, my new obsession! Hi everyone! Happy weekend. Hope you are all doing well! Today I want to tell you about something that I recently discovered, bought and subsequently fell in love with: Coconut Oil. This stuff is amazing. The health benefits alone persuaded me to buy a jar, but the way it makes my skin feel... Well, it's just amazing. I know I have a bit absent lately, my apologies. I'm in the process of setting up my own at home business and have been sewing and creating a lot lately. Thus the blog has taken the back seat, but don't fret... I've come back strong! Hey everyone. 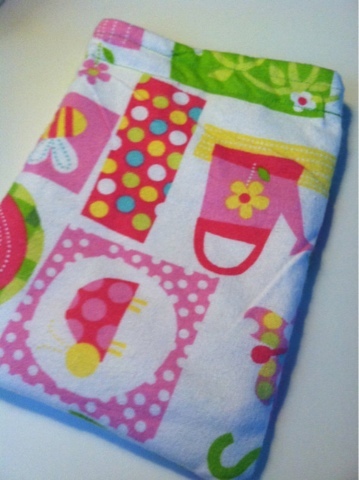 Check out my new shop for reusable snack and sandwich bags and diaper wraps. More designs and sizes coming soon!! All bags are handmade by me with care and love. As promised, here is my Gluten free spaghetti-o recipe. Want some free bag clips? Have you ever brought a pair of slacks, a skirt or some baby clothes? If the answer is yes, then you probably have some free bag clips in your closet.